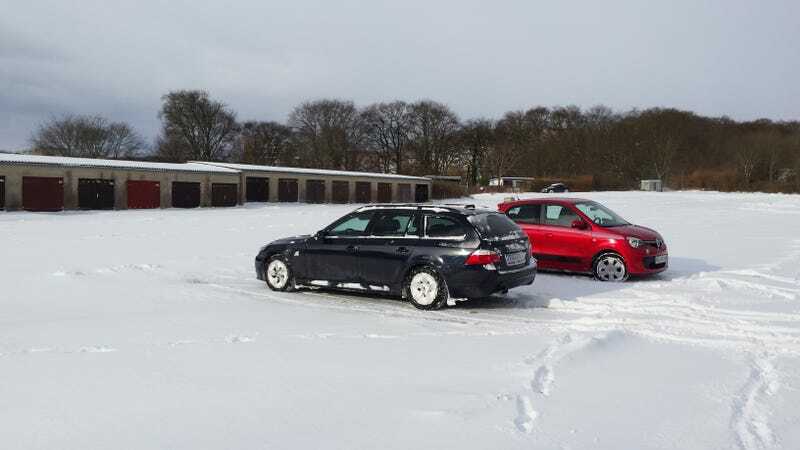 Got to do my first ever RWD snonuts. Still a bit of a learning curve, but I looove that they actually let you disable all the acronyms with the touch of a button. And no, the Twingo didn’t play as well. Belongs to a co-worker, proverbial little old lady.